Neon Orange Climbing Rope Dog Leash – 10.2mm Climbing Rope – Length 48in – Stainless Steel Clip – Built for the Big Dogs. 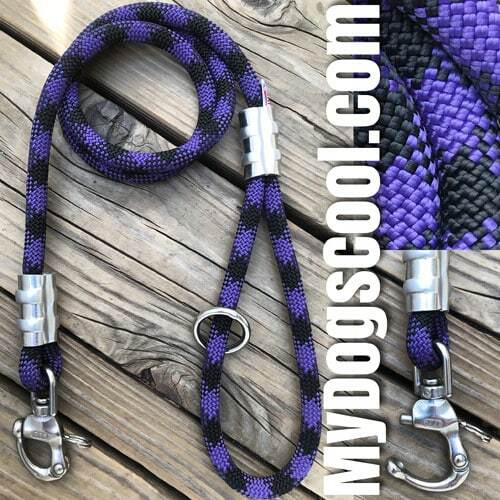 Neon Orange Climbing Rope Dog Leash with purple helix pattern. 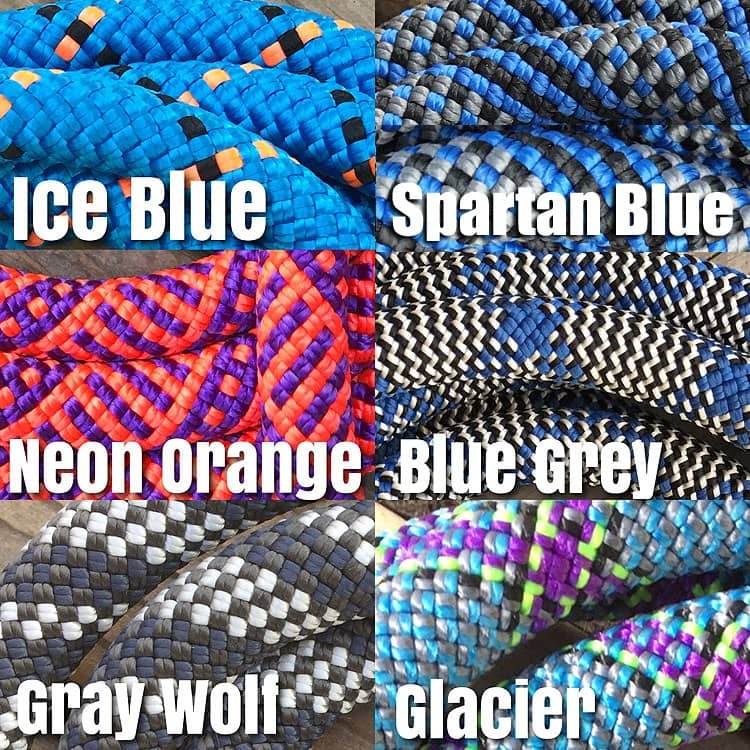 This bright, bold 10.2mm mountain climbing rope is a perfect leash for Big Dogs. Made in USA. 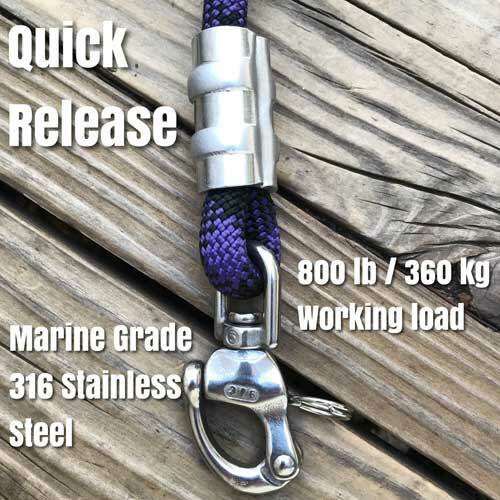 Equipped with 316 stainless steel clips, and our original customized rope connections make our basic dog leads stronger, and more reliable than most any other dog leash on the market. Our basic leads are a popular choice for most medium to extra large dogs. 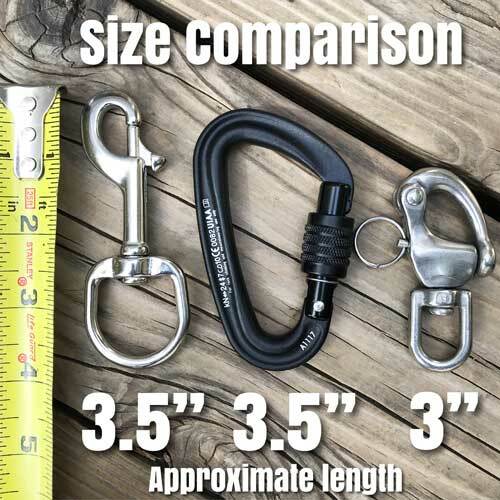 For those that need a leash with exceptional strength, upgrade to a locking carabiner. 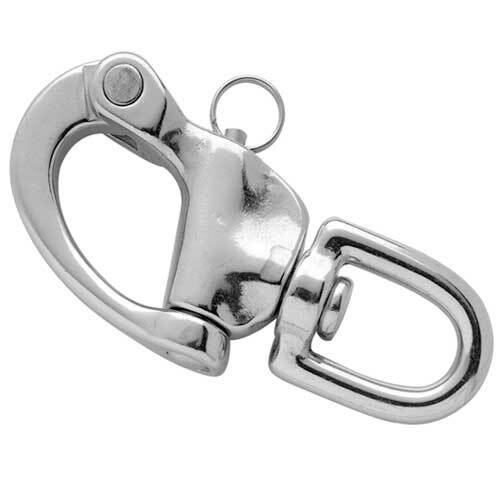 Keep in mind that carabiners provide exceptional strength and safety, but do not swivel like a stainless steel clip. 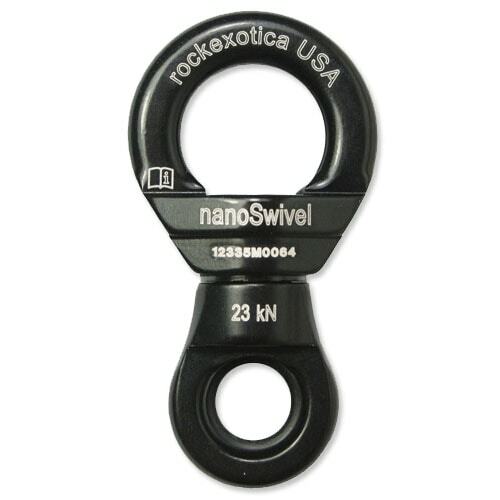 For the strength of a carabiner, and the ability to swivel like our stainless steel clips you will need a nanoSwivel and carabiner combination for what we call our Ultimate Dog Leash. 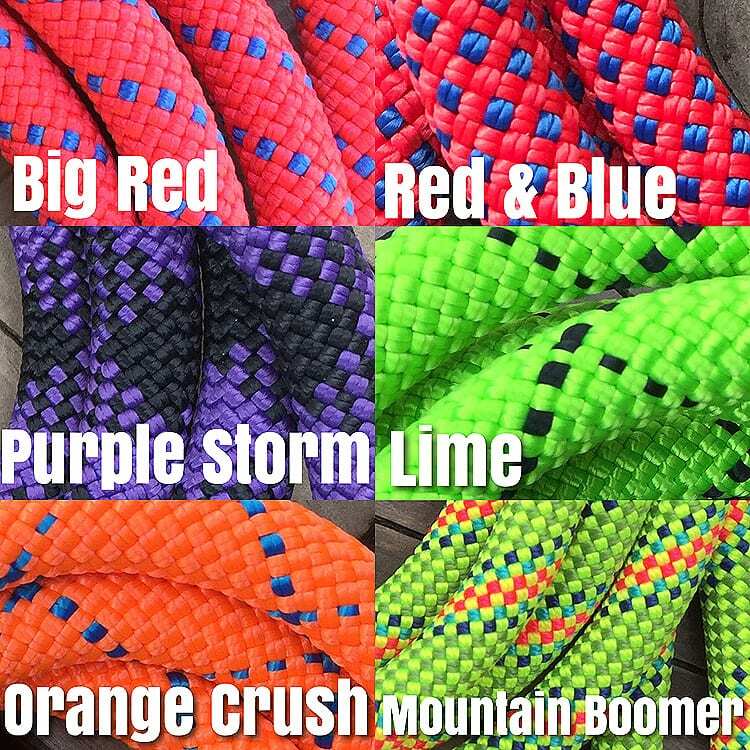 Neon Orange Climbing Rope Dog Leash is also available in a slip lead style used by animal rescue teams, dog trainers and vets. 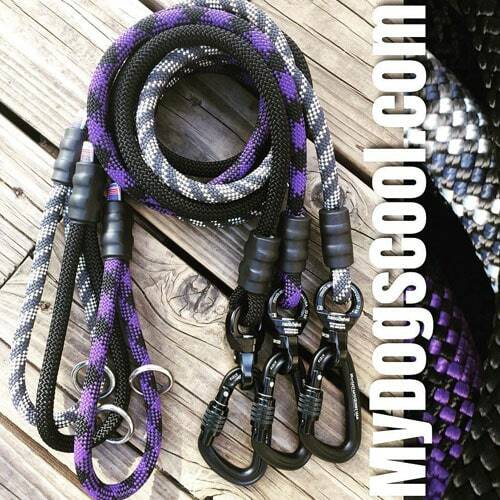 If hiking with your big dog is your thing, check out our handsfree Jaeger leads.